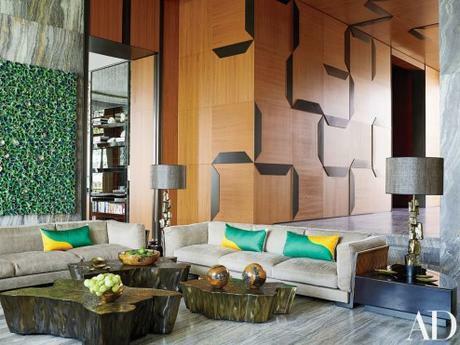 The house was designed by Paris-based designer Thierry Lemaire. In his own words he describes the couple as two with different personalities. The Garzouizi’s are also known as the owners of the Hermès license for Lebanon. The architecture was done by Raëd Abillama who decided to ‘ clad the ground-level façade with slabs of stone from the property. 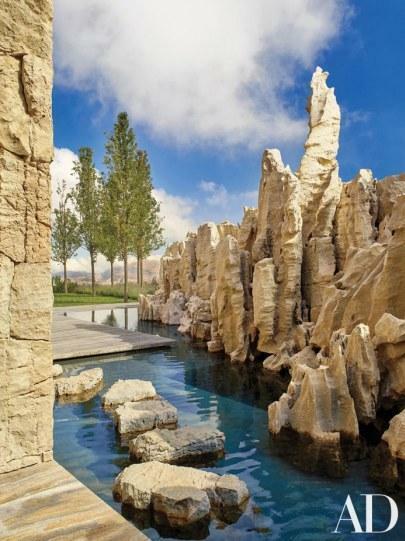 It took local artisans two years to assemble them.’ The landscape design was done by Vladimir Djurovic who relocated the excavated rocks to create a screen for the pool by the home’s main entrance. Lemaire focused mainly on adding warmth to the interior concentrating mostly on using teak wood, bronze, and Iranian Travertine. The house has five bedrooms, a very eccentric feature is that the couple insisted on having a small chapel. This is such a beautiful project, please head over to the original article and check out the details and story behind the making of this beautiful project. 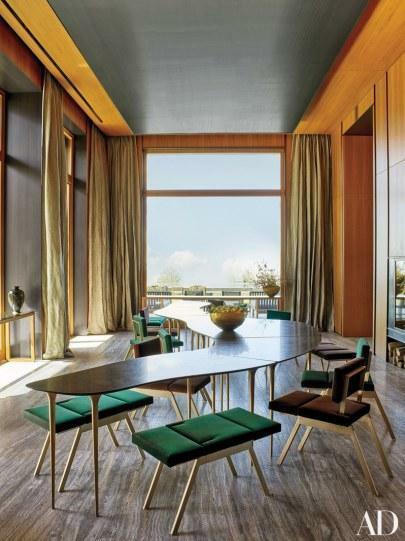 Read the article on Architectural Digest. 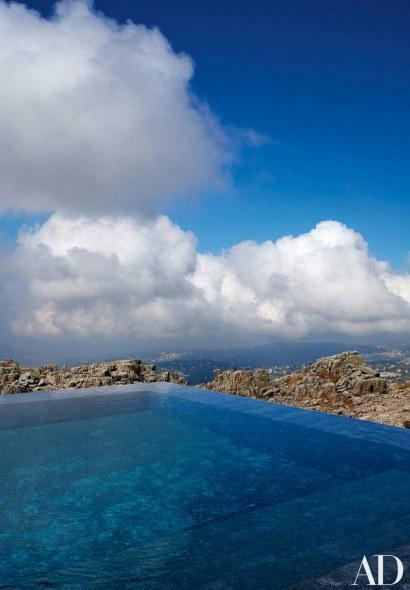 The Home of Nicolas and Michele Garzouzi in Faqra Lebanon | Interiors originally appeared on Design & Lifestyle Blog on 15 Apr ’17.